Trader Sam’s Enchanted Tiki Bar is one of the most popular bars, if not the most popular. Located at Disneyland Hotel, the bar features unique cocktails that are available in limited edition cups and many have a show that goes along with it. This holiday season they have some festive cocktails sure to make everyone wanting one. 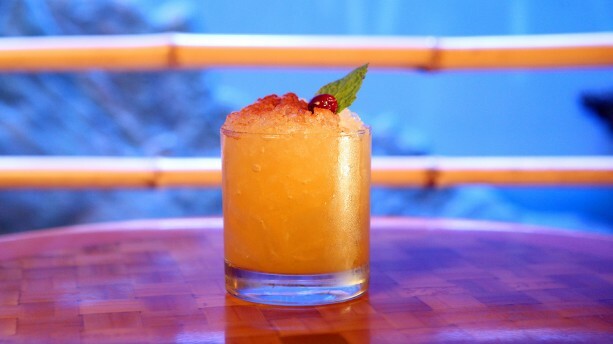 The Red-Nosed Zebra (9.50) is aged rum, strawberry puree, lemon and lime juice. The garnishes make this drink so festive! The Gorilla Nog (10.75) is honey-flavored whiskey, Sam’s Gorilla Grog, ginger and orange liqueurs. 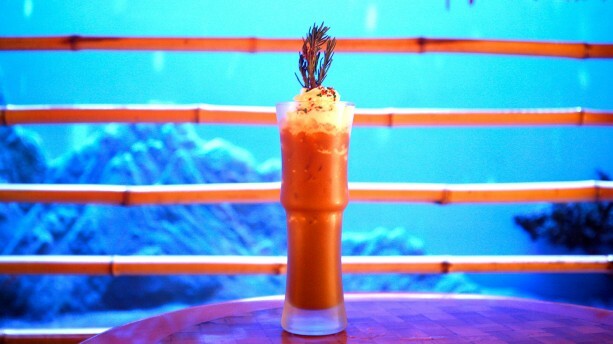 The Mele Kaliki-Mocha (10.75) is iced coffee, cream of coconut and coffee liqueur topped with whipped cream. Sounds like dessert in a cup to us. These specialty drinks are available for a short time so make sure you stop by and try them before they are gone. After 8 pm the bar is restricted to guests 21 and older. Which of the drinks can you not wait to try? We’d love to hear!